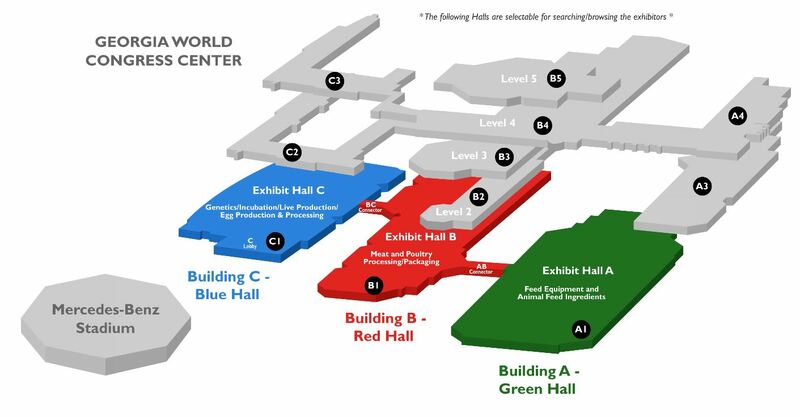 Tues., 10 A.M. – 5 P.M.
We are located in Safe Foods Booth- Hall B number 7115 – in the Food safety pavilion. In 2019, IPPE will be held in Atlanta, Georgia, USA. The show dates will be Feb. 12-14, 2019. IPPE is the world’s largest annual display of technology, equipment, supplies, and services used in the production and processing of eggs, meat, and poultry and those involved in feed manufacturing. At the 2018 IPPE, there were 1,216 exhibitors covering more than 521,800 net square feet of exhibit space, placing the show in the top 30 in the United States. Click on the floor plan to open.